Super easy Kwanzaa snacks that preschoolers through second grade can make. Kwanzaa Kabobs: This is fun for the kids to make, I know because I did it when I was in the third grade and now I do it with my classes and they love it. You’ll need kabob sticks, bananas, apples, pineapple slices, and oranges. Cut each fruit into little pieces and place on a plate for each child. Let them put the fruit pieces on the kabob. You can substitute red and green toothpicks for kabob sticks. 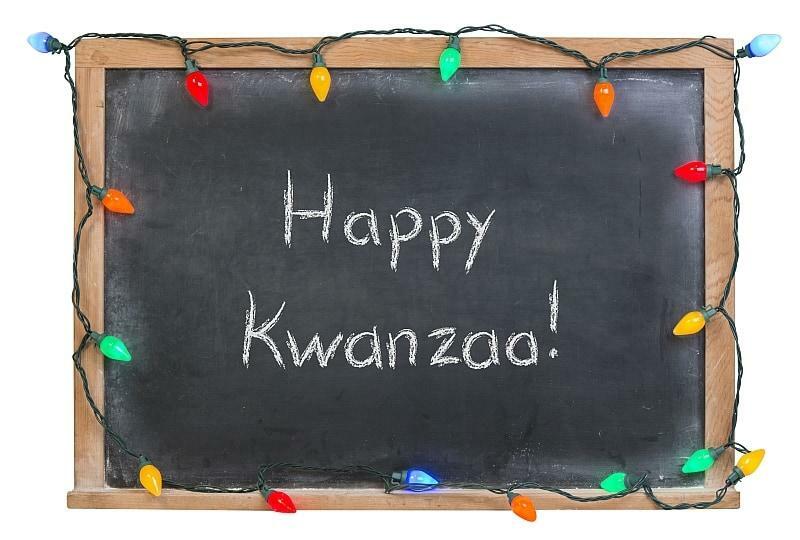 Use a black paper plate to add to the colors of Kwanzaa. In my preschool classroom, we make Kwanzaa Kabobs to round off our unit. You need toothpicks, traditional fruits of Africa-kiwi, bananas, pineapples, etc. Have the children place as many of the cut up fruits as they can on their toothpick. Simple and easy! In my second grade classroom, I have all the children bring a piece of fresh fruit for a special Kwanzaa snacks salad. I contribute some chopped nuts and a small amount of shredded coconut. The kids wash and help cut up their fruit. Then everything is mixed together in a big bowl with this “dressing”-a half cup of orange juice and a couple tablespoons of instant vanilla pudding powder whisked briskly. This healthy snack can be served in small paper cups with plastic spoons to make clean-up a snap. Let the children mix all the ingredients together and form into biscuits. Bake on cookie sheets for ten minutes and enjoy!